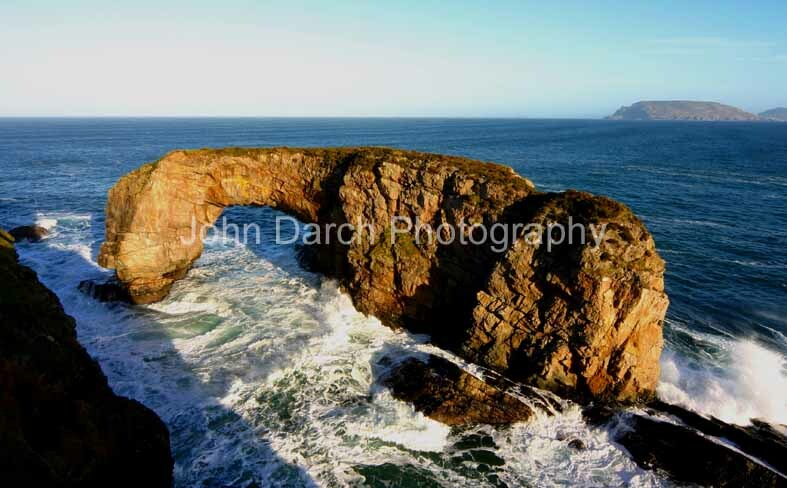 Pollet Arch lies just off the coast in Lough Swilly about two miles south of Fanad Head. 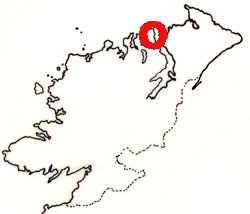 The headland in the background is Dunaff Head in Inishowen. This shot was taken on a beautifully clear day in December, hence the long afternoon shadows It required the use of a wide angle lens from a precarious location!